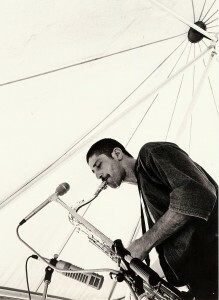 Sohrab street performing in Bern, Switzerland in 1979. April 1st 1953 – born to Iranian parents in Switzerland. Moves with family to Hamburg, Germany. 1960 – takes piano lessons, but Sohrab stopped after his teacher couldn’t stand his way of playing the piano. 1968-1973 – plays drums on his own at home. Neighbors complain about his passionate playing.Takes Flamenco guitar classes. Jamming with friends. 1974 – moves to Osaka (Japan) to study Judo and Kendo (Japanese fencing). 1976-82 – studies Kendo at Osaka University of Health and Sport Sciences. Montreux Jazz Festival (Geneva), Radio Nova (Paris). (Note: SADATO is the Japanese version of Sohrab’s last name Saadat). 1984 – 7 inch single release “SADATO GROUP” through Osaka indie label Kang Gung Rec. SADATO GROUP break up. Sohrab moves to Tokyo. 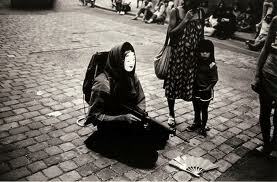 1985 – plays with Butoh group Dai Rakuda Kan, Hoppo Buto-ha, and the German vibraphonist Karl Berger. Launches own group ALEF, acclaimed as the first real multi-media performance group in Japan, using butoh and modern dancers, actors, a stripper and a pantomimer. 1987 – ALEF’S LP RELEASE “Hajime” on Sohrab’s own indie label Kampai Rec..
1989 – forming the new band SADATO and release of his second album. “TENBATSU” again through KAMPAI REC. This time on CD!! SADATO performance at the prestigeous Tokyo club Club Quattro, doing three shows in various Los Angeles clubs, and tours Germany and Switzerland, doing a live recording for Radio Bremen (Germany). 1990 – CD “Dill” release through German label Strange Ways Rec, followed up by Swiss tour. 1991 – releases music video “Bogu” with artwork by Stephen Black. Tours Germany and Switzerland. Serves as the music director of the multi media club Theatre Poo in Tokyo. 1992 – CD “1992” release by German label Atonal Rec. 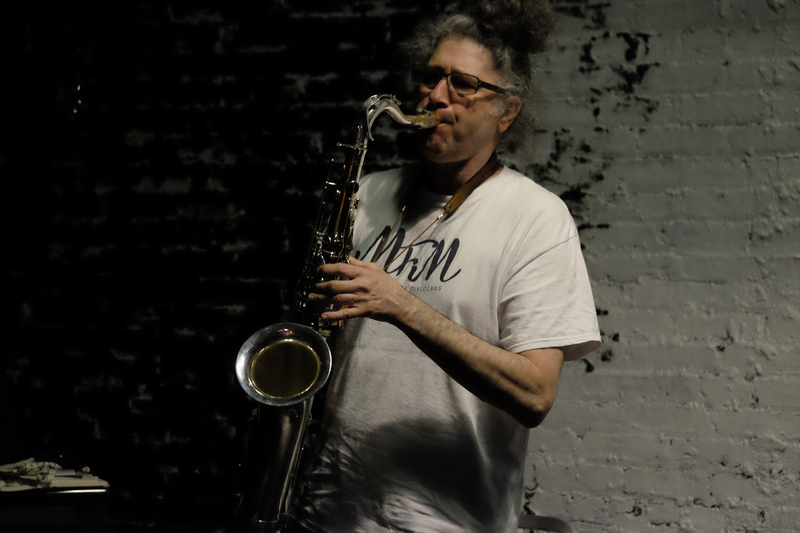 Makes inroads into the New York music scene, playing with numerous well known players, also touring in Japan with famous US jazz musician Peter Gordon, with Shimizu Yasuaki on tenor sax as special guest. Retrospective SADATO exhibition held at SPP Gallery. Appears on TBS Radio (Tokyo major radio station). 1993 – music video “Bogu” shown on WYOU, Madison, Wisconsin. 1994 – SADATO appears at the legend punk club CBGBs in New York, and Yokohama Jazz Promenade. 1995 – CD “No More Reggae” release to acclaim from both rock and jazz magazines. 1996 – CD “Cha Cha” release which is produced by Martin Bisi in New York. First time incorporating elements of world music. 1998 – Hong Kong tour. Appearance at Hong Kong Fringe Festival and interviewed by CNN ASIA. Performs in various Hong Kong jazz clubs. 1999 – SADATO break up. Sohrab decides not to use the name SADATO anymore. 2001 – guest appearance with Salif Keita at the Blue Note Tokyo receives ovation from audience and high praise from Salif. Also appears with Twilight Circus (Canadian DJ & producer) during his Japan tour at the club Cay in Aoyama. 2002 – appears with Twilight Circus, at Motion Blue Yokohama. 2003 – again appears with Twilight Circus, at Motion Blue Yokohama. 2004 – Guest appearance with the Romanian gypsy brass band Fanfare Ciocarlia during their Japan tour. Appears with Twilight Circus at the Fuji Rock Festival and True People’s Celebration. Invited to appear with Salif Keita at a concert commemorating Salif’s appointment as United Nations ambassador for culture and sport. Forms the unit THE TEHRAN BROTHERS with the Iranian Hamid Shahsavari on daf & voc. 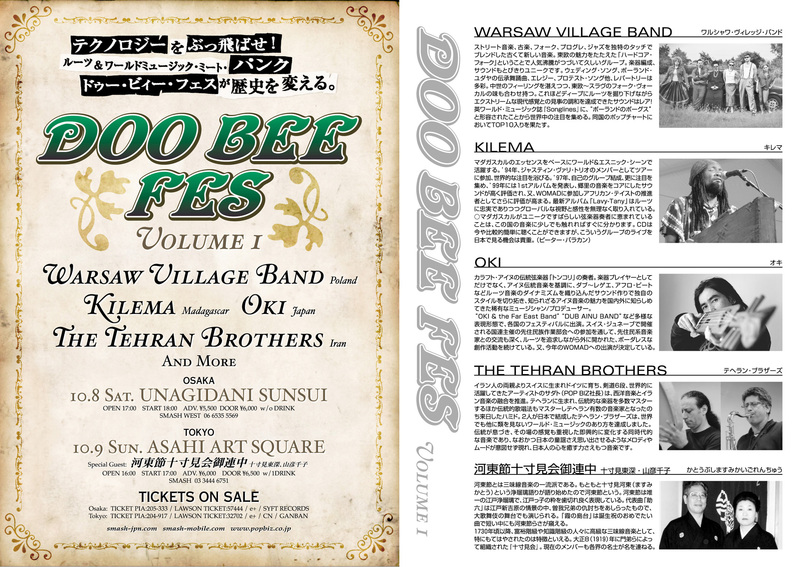 2005 – First and only public performance by The Tehran-Dakar Brothers at the Tokyo DOO BEE FES, documented and broadcasted by SONY –WEV. 2006 – forming the unit The Tehran-Dakar Brothers with Wagane N’Diaye Rose (Senegal) on sabar who is the son of the famous Senegalese sabar player Dou Dou N’Diaye Rose. 2007 – The Tehran-Dakar Brothers support CHIHA (Tunisian singer) during her on tour in Japan. (In addition to his unique work as a musician, Sohrab was also the president of the music record company and CD import distributor – POP BIZ Ltd (1993-2007). 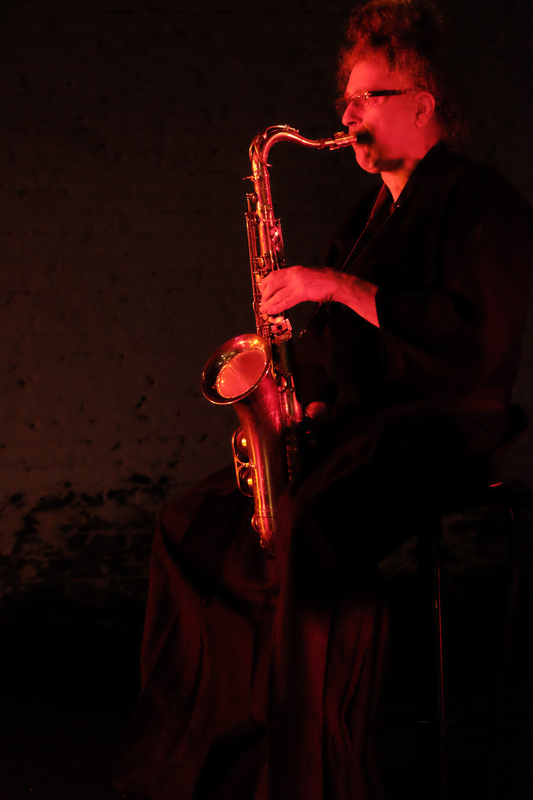 He was also known in Japan as an incisive interviewer, in particular for a series of interviews he conducted for Jazz Critics (one of the top Japanese JAZZ journals), with Horace Silver, Don Cherry, Michel Petrucciani, Larry Oakes of the Rova Saxophone Quartet, Elliott Sharp, Lynn Johnston, Vinnie Golia, Peter Gordon, THE BLECH, engineer/producer Martin Bisi, Akita Masami, and Scott Baker, editor of Option (US music magazine). From 2004-2007 he was also the chief-editor of the Tokyo cross-culture music magazine Doo Bee Doo Bee Doo published by POP BIZ Ltd.. 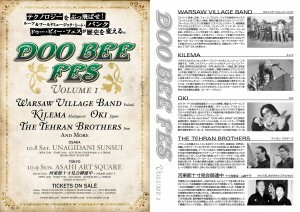 In 2005 Sohrab organized the international world music festival DOO BEE FES in collaboration with SMASH CORPORATION in the old city of Tokyo. 2008 – moved to New York city. Recorded at the BC STUDIO in December 2008 for the first time with The Tehran-Dakar Brothers (Masamba Diop on tama & sabar, who is the head drummer of Baaba Maal, and Mar Gueye on sabar & djembe who is a student of Dou Dou N’Diaye), recording engineer: Martin Bisi. Played with following NY musicians & bands: STUMBLEBUM BRASS BAND at the RODEO BAR, BROTHERS IN ACTION with Jesse Wildcards, on tuba & member of the STUMBLEBUM BRASS BAND at the GERSHWIN HOTEL, ASIKO, Nigerian Afro Beat band at ZEBULON, Ranjit, an Indian singer song writer at SOB’s, Burnt Sugar & The Arkestra Chamber at TEMPLE M (with Greg Tate/conductor, Lewis Barnes/trumpet, Swiss Chriss/drums, Avram Fefer/tenor sax and special guest Henry Grimes/bass, Neke Carson on piano at THE GERSHWIN HOTEL andSwiss Chriss Band (ex John Legend music director) at THE ROSE. Played with following NY bands and musicians: MANDINGO AMBASSADORS at BARBES (with the Bam Baya Jazz’s legend Mamady Kouyate: guitar, leader, Mamady Kourouma: guitar, Sylvain Leroux: alto sax, flute, Fula flute, Oron Etkin: tenor sax, clarinet & Andy Alguire: drums), a private session with Lukas Ligeti on drums & ballaphone jamming at his studio, GRAND MASTERS OF GYPSY MUSIC at the Mehanata Bulgarian Bar, Ladell McLin’s band Vital Soundz at Kenny’s Castaways, SOURCE at THE ZINC BAR, the WAVV BAND (with Thierno Camara Lead Vocal/Bass, Manta Faye Drums, Arona Ndiaye Keyboards, Morcumba Gueye Sabar/Djembe, Raja Kassis Guitar, Lezardo Villeneuve Congas) at THE L’ORANGE BLEU, Don McKenzie on drums, Justin Haffner on bass and Guston as host & MC at the Nuyorican Poet’s Cafe, Ornette Coleman on alto sax, my hero of Modern Jazz, jamming at his studio, recorded with Ornette, John Knuth (on mandolin) and Bachir Attar & THE MASTER MUSICIANS OF JAJOUKA, jamming and rehearsing with Ornette’s band, played with Francis Mbappe on bass & voc (Cameroon) at THE ZINC BAR, Kofo the Wonderman & the Daylight Stars at THE ZINC BAR. Pascal Plantinga Band (Holland) with Pascal Plantinga (vocals, bass), Pyrolator (electronics) from Germany & David Campbell (drums) at THE STONE, ZEBULON & NEBLU, Emch (Subatomic Sound System) & DJ Ayo (Mulatta Rec. ), featuring Jojo Kuo on drums & Sylvain Leroux on Fula Flute at LE POISSON ROUGE. Butch Morris at Zebulon, DAWOUD at Universities Of The Streets. THE STONE (NYC) on March 11th 2009 with Sohrab on sax & voc, Damon Banks (US) on bass, Brandon Ross (US) on guitar, Sheikh Tairou M’Baye (SENEGAL) on sabar and Jean-Marie Collatin-Faye (SENEGAL) on djembe. THE GERSHWIN HOTEL (NYC) on August 8th with Sohrab on sax & voc, Lukas Ligeti on drums, Al MacDowell (Ornette Coleman’s regular member) on bass and Ladell Mc Lin on guitar. 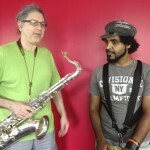 Sunday, April 12th, Midnight – 3am: Kurt Dahlke aka Pyrolator with guest appearance: Sohrab Saadat Ladjevardi on sax, on WFMU 91.1 fm 90.1 fm wfmu.org. The host is Daniel Blumin. NBC (Channel 4) video taped parts of the STONE concert and aired the footage, which is a piece of a segment on experimental music in New York, 3/21 at 7:30 pm and 3/22 at 1:00 am. This piece will also be featured on www.lxtv.com for a long long time. VOICE OF AMERICA interview in English and Farsi, which was aired around the world 7/26. Since mid of June Sohrab and TT-DB have been supporting musically the GREEN Movement in Iran. Playing at rallies at Union Square, Columbus Circle, Washington Square Park, at THE BOWERY POETRY CLUB and in front of the UN in New York city. 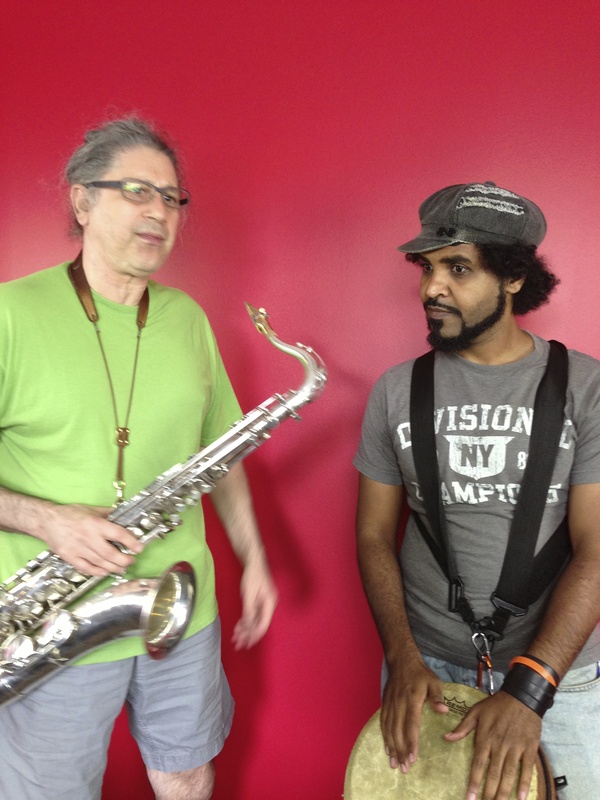 During this year Sohrab did music side jobs and music concerts with The Tehran-Dakar Brothers mainly in NY. He also composed music for indie documentary films. He also continued rehearsing and taking master classes with Ornette Coleman. Generally speaking this is the year when Sohrab was finalizing the recording, mixing, mastering and manufacturing of his soon coming out CD SoSaLa Nu World Trash. In summer of this year Sohrab changed the name of his new music project and unit to SoSaLa. Damon Banks on bass, Michael Wimberly on drums and djembe and Alejandro Castellano on guitar joined SoSaLa. Sohrab played also solo at NY galleries. Guest appearance with Salif Keita (Mali) at the Apollo Theater (NY) April 9th. Worked as a studio manager and event producer at NY’s MICHIKO STUDIOS. In April he organized with MICHIKO STUDIOS a benefit concert for the Fukushima tsunami and earthquake victims. The money went to the music department of an elementary school and to a Jazz coffee shop in Fukushima to help them up to recover from the fatal incident. 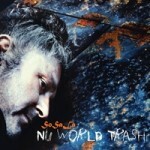 SoSaLa Nu World Trash debut CD release March 6th on DooBeeDoo Rec – his 6th album, which took him 15 years to release. The members are: Sohrab on sax and vocals, Damon Banks on bass, Michael Wimberly on drums and djembe, Sinan Gundogdu on oud, Brian Punka on guitar and Sylvain Leroux on fula flute. CD is distributed world wide by CD BABY (US). Sinan Gundogdu left the band early summer. Brian Prunka doubled on oud and guitar. Sohrab visited Japan in October/November promoting his CD there. El Sur, retailer and mail order in Tokyo, has been distributing his CD since then. SoSaLa New Orleans tour with Brian Prunka beginning of December. SoSaLa Chicago, Bloomington and Normal tour for the first time in March. SoSaLa East Coast tour (Washington DC and Baltimore) in August. SoSaLa New Orleans tour in November. SoSaLa toured Chicago tour in December.